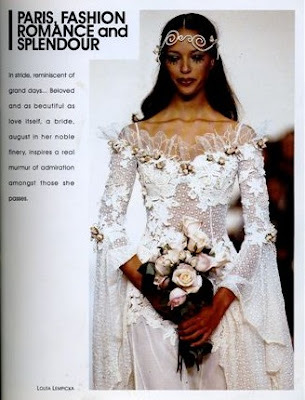 Never have brides had so much leeway when it comes to headwear. 2010 marks a time when choosing you put on top of your head will add pizazz to your overall look. 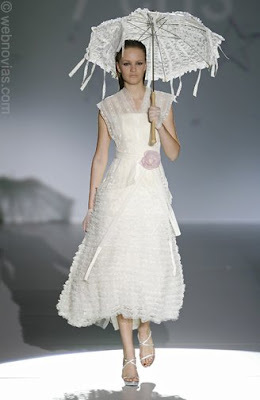 Thanks to those designers getting creative with netting, florals and plumes, the bride has so, so many options. 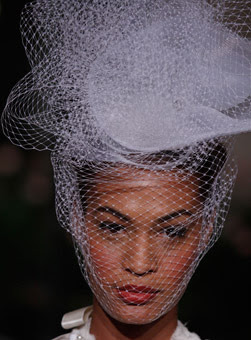 Pancake hat wrapped in netting. 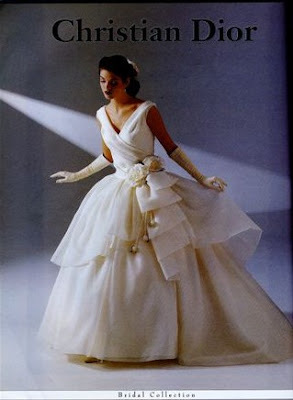 A little bit of vintage to go with the evening gown look. 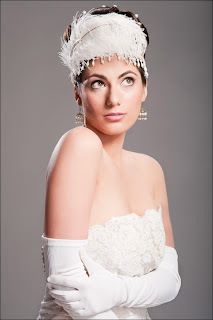 Light and airy, a headband of feathers would work for a Spring as well as Winter wedding. 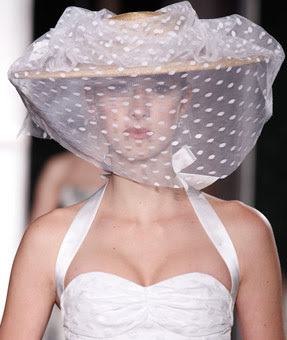 One of the great introductions this year by Carolina Herrera is the straw hat (she put out several) wrapped in ivory point d'spirit netting. Stunning . . .
Getting ready for winter weddings this hat is a toasty charmer as well as chic. 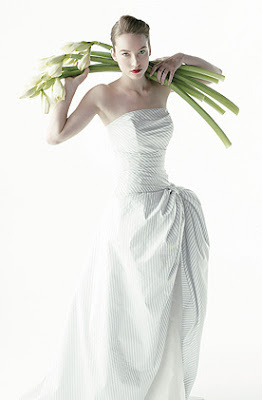 Another Carolina Herrera revival: The plume. It proffers a touch of the sophisticate as well as pure whimsy. 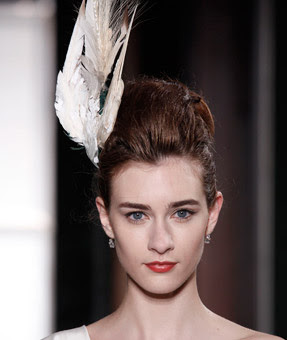 Plumes are particularly flattering for the petite bride wanting to add some length to her look. 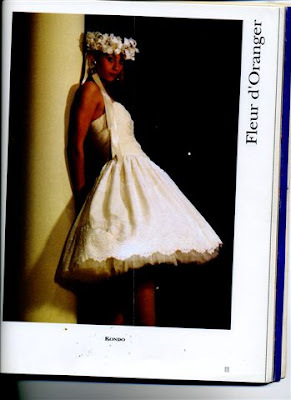 Try a plume also if you're going with more of an evening gown look. Though there's a whole panacea of gift ideas in these sets, sometimes the best gift you can give your bridesmaid and/or maid of honor is the dress itself. I had a single bridesmaid in my wedding amongst a pack kids in taffeta. Other than a few purple sashes and tartans, it was an all white wedding with my maid in a simple white silk dupioni sheath. That dress was a gift. A year later when her boyfriend proposed, she wore that same bridesmaid dress for her own wedding. I was totally honored. 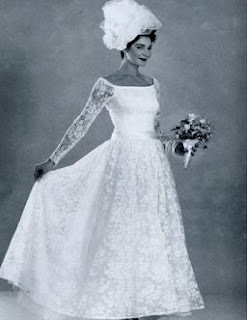 Thus, I would never have asked her to pay for the dress and to this day she claims it was her greatest wedding present. Customary gift from bride to her maids is a stunner piece of jewelry. You can also say thank you in the form of perfume, Ray Bans and whole gamut of goodies found below. Acquachiara an Italian design house run by the talented Daniela Basile. 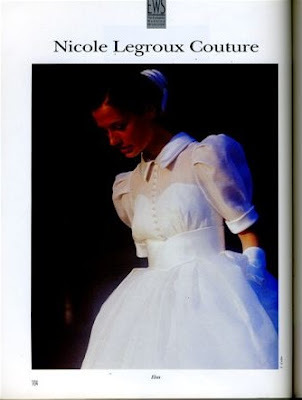 Her philosophy is about as close to my own as any designer I've found yet: She believes the right gown is worn like a second skin. These seem not only to be worn as a skin as much as the bride's whole essence . . . 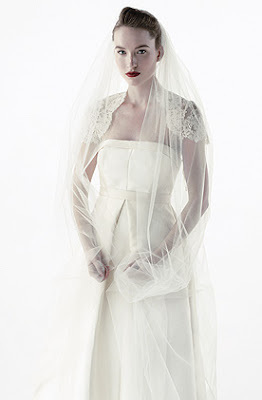 Particularly love the Sara Gabriel veil here setting off the whole vintage mood..
A little bit vintage and part ethnic, Spanish designer Yolan Cris works magic with lace and satin. Totally want to find out where he gets such great lace . . . . 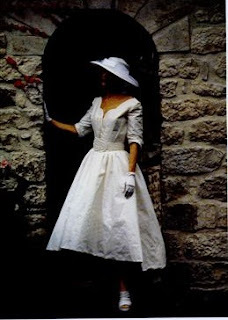 Here's one version of 'The Little White Dress' perfect for the lunch or dinner out wedding in a restaurant. 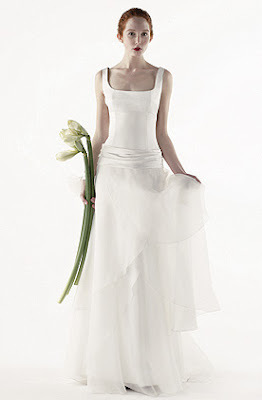 Summer friendly and simple, it also works as a rehearsal or reception dress. Bulgarian designer Julia Kontogruni sculpts femininity and romance with a deft hand. 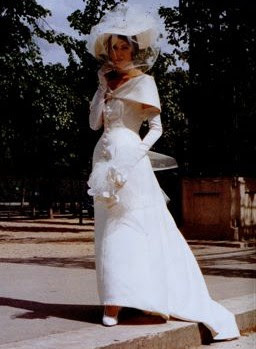 The ultimate in 'Cinderella Dressing' volume and miles of fabric really create the look. The designer offers fully boned corsetry and decorates bodice and skirt with hand-bead Swarowski crystals . Each gown is a literal jewel. The rich sparkle organzas and bead treatments can be seen at closer inspection on her site. How did I ever miss this incredible BBC series back in the 90s? Thanks to my public library, I can finally see the whole kit and kaboodle, measuring out three seasons long. 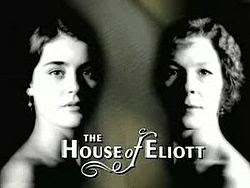 The House of Elliott chronicles the lives of two sisters setting up a toney couture house in post WWI London. 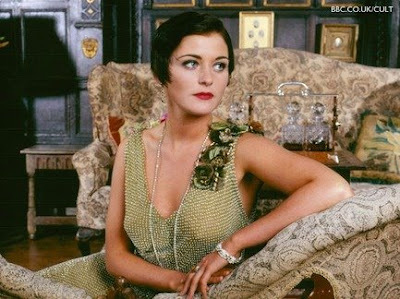 The magnificent costuming by Joan Wadge can't be missed if you are in any way in love with jazz age fashion. While the 20's proffered little in the way of flattering silhouettes, the detailing in fashion was extraordinary. Thus, the cavalcade of chic found in this series goes for sets and decor intricate in detail as well. 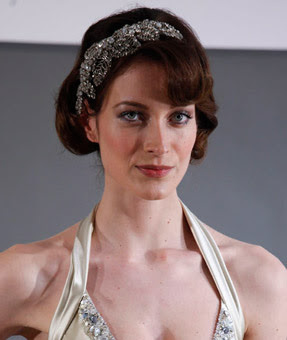 Tune in to the second season and I can promise two stunner wedding gowns you'll never forget. 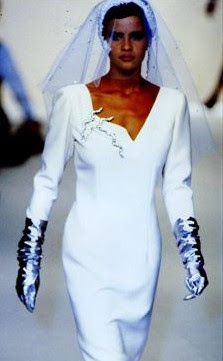 When two clients in one week ask where to find gloves like the ones in these pictures I figure it is time to devote some space to glove chic. Opera length like the ones featured here go great with evening gown and strapless looks. You can go with the classic white and ivory or jazz up your look with any length, color, texture, even pattern Just as some brides are showing some pizazz wearing different color shoes with their gown, glove color is an option you have as well. Go ahead, be adventuresome! 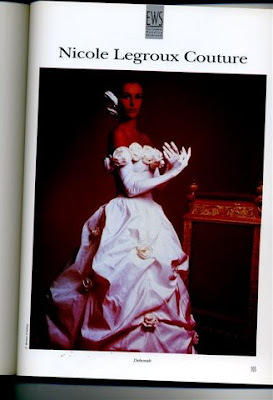 All gloves below are available through Mystique Vintage.